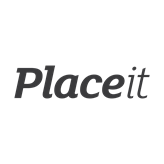 An experienced Fullstack Engineer to join the Placeit team. You would be working on developing new features from start to finish which would include everything from early prototypes to getting the production server ready to checking for security concerns. We’ve been profitable since the day we started so you don’t have to worry about us bleeding money and suddenly closing up shop because an investor pulled out. All our staff including the CEO resides here in beautiful Guadalajara. We’ve been here for quite a few years and we don’t plan on leaving any time soon. We operate Placeit, Recordit and Empowerkit out of the same office.